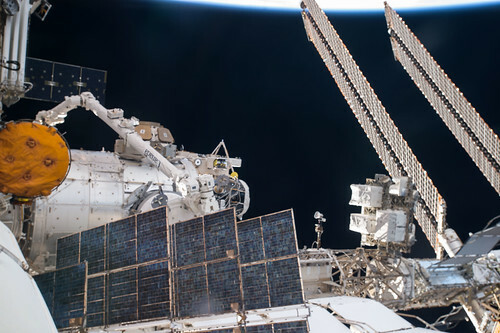 iss047e061129 (4/16/2016) --- The Bigelow Expandable Activity Module (BEAM) was installed to the International Space Station on April 16, 2016 at 5:36 a.m. EDT. Following extraction from SpaceX's Dragon cargo craft using the Canadarm2 robotic arm, ground controllers installed the expandable module to the aft port of Tranquility. Astronauts will enter BEAM on an occasional basis to conduct tests to validate the module’s overall performance and the capability of expandable habitats. NASA is investigating concepts for habitats that can keep astronauts healthy during space exploration. Expandable habitats are one such concept under consideration – they require less payload volume on the rocket than traditional rigid structures, and expand after being deployed in space to provide additional room for astronauts to live and work inside.